Decided to make a place to post things I'm not sure what to do with and would like to offload. Let me know if you're interested in anything or have questions. Everything here is free, just cover shipping. I'm not sure what mount these are. I got them with a bunch of buckling spring blanks but they're not anything that I recognize. These came off the board below. 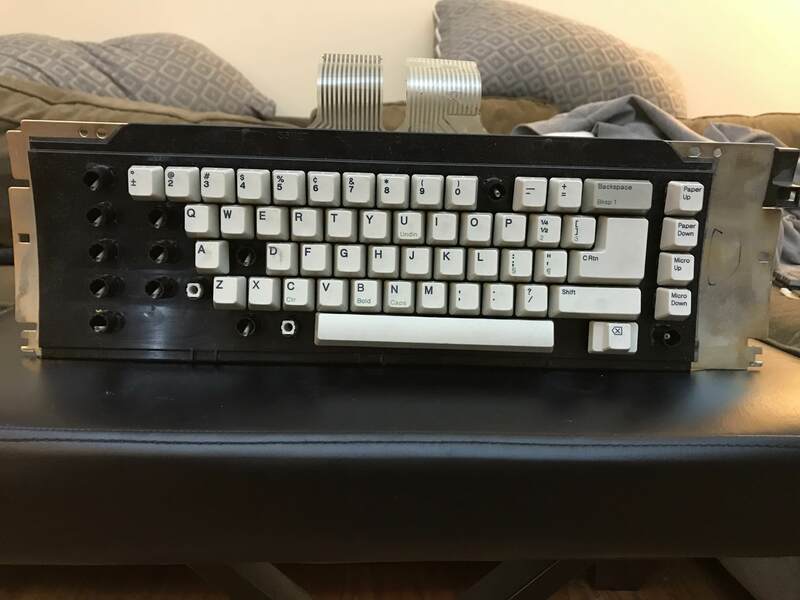 The stem is too fat to work with MX switches but they seem to fit on Alps SKCC style switches (the tall kind -- I tested with a loose switch). Accidentally picked/bought these. They're not for me but I'm sure someone out there will like them! First one looks a bit like for Fujitsu peerless switches. I got these with a bunch of teensy++ clones. I found a use for one but no clue what to do with the rest of them! Might be good for organizing screws or other small parts. hypkx wrote: ↑ First one looks a bit like for Fujitsu peerless switches. oooo you might be right. They do indeed fit on Fujitsu leaf spring switches (I have one 3rd gen board). They reminded me of Fujitsu rubber dome. I think it looks pretty similar to Sun Type 5. The caps on that are pretty sharp-edged and sharp-cornered like yours, but especially with a very small difference in tone between light and dark keycaps. 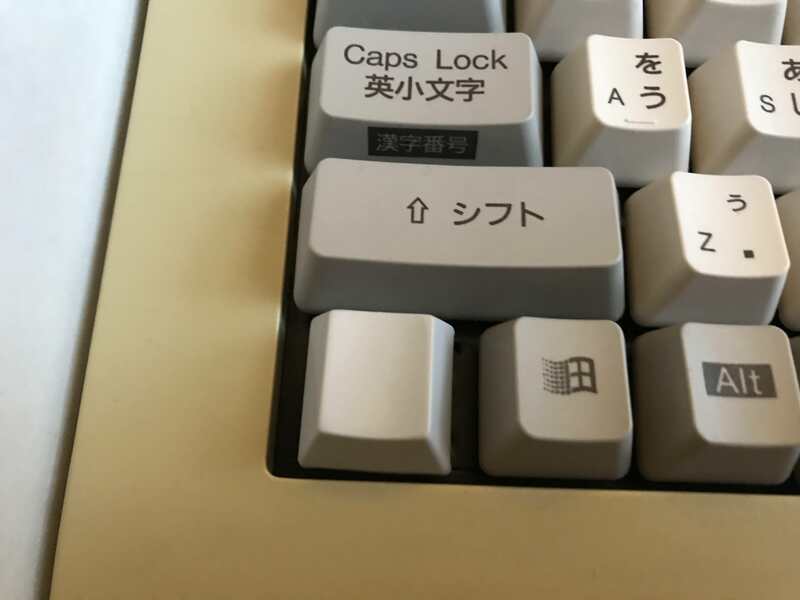 I have another Fujitsu rubber dome with compatible keycaps/sliders but with a square protrusion in the middle of the keycap instead of a round knob and a different, rounder, lower, external shape. That round knob in yours could be insignificant — maybe just a pouring spout. The Sun Type 5 cap I linked to has no knob at all. 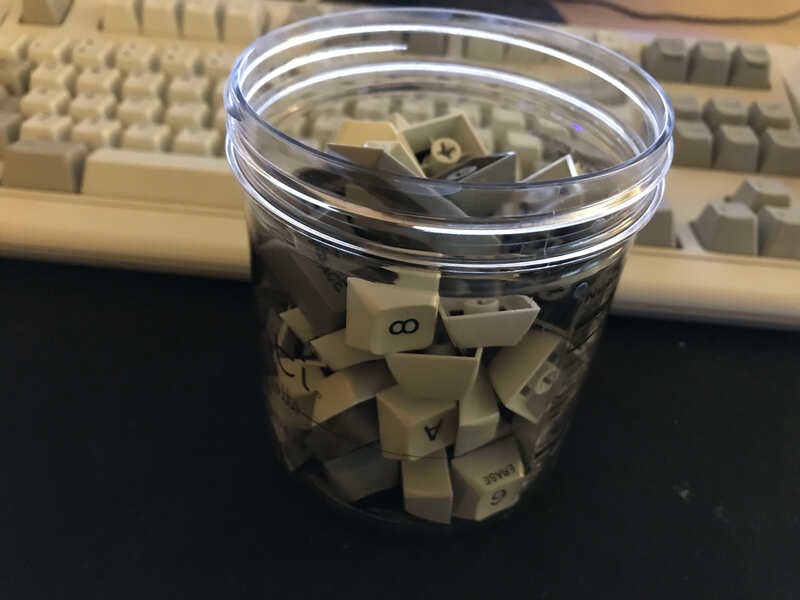 I'm missing the left ctrl keycap. The switches are very very clicky (too clicky if you ask me). 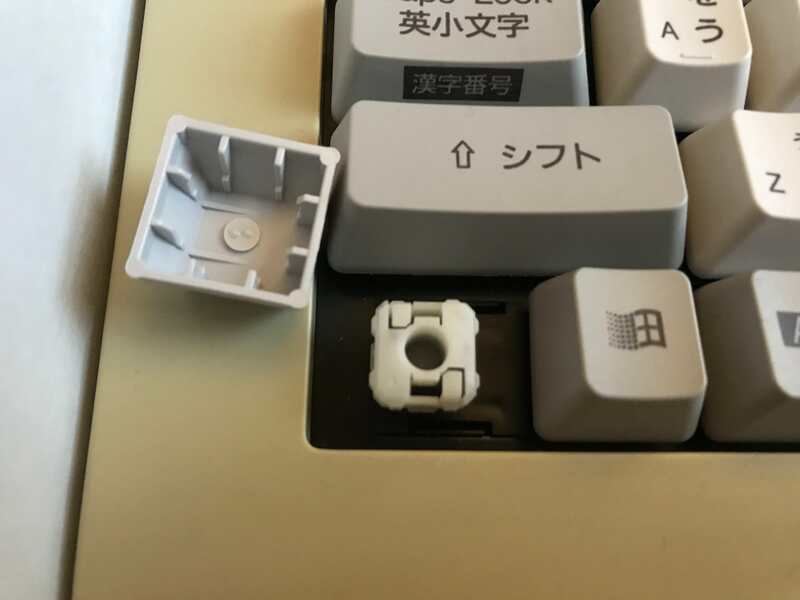 The keycaps are pad printed. 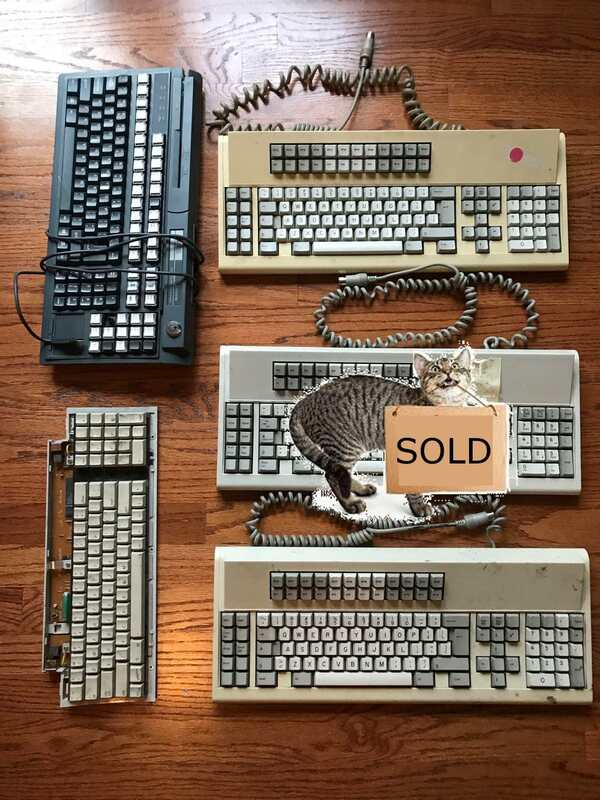 PM'ing regarding the Alps Clone assembly. How low profile are the cables? I find most mini-USB cables have a fat plastic housing on the little end, making them too damn big for many of the places a Teensy can go. Are these actually nice and flat? If so I'd like one or a few! Is #2 still available? 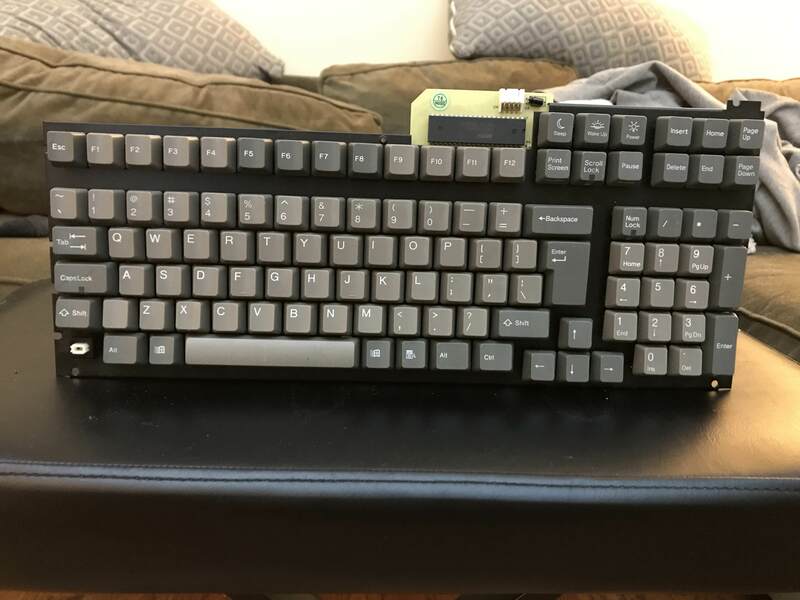 I would like the caps and also the board if possible. 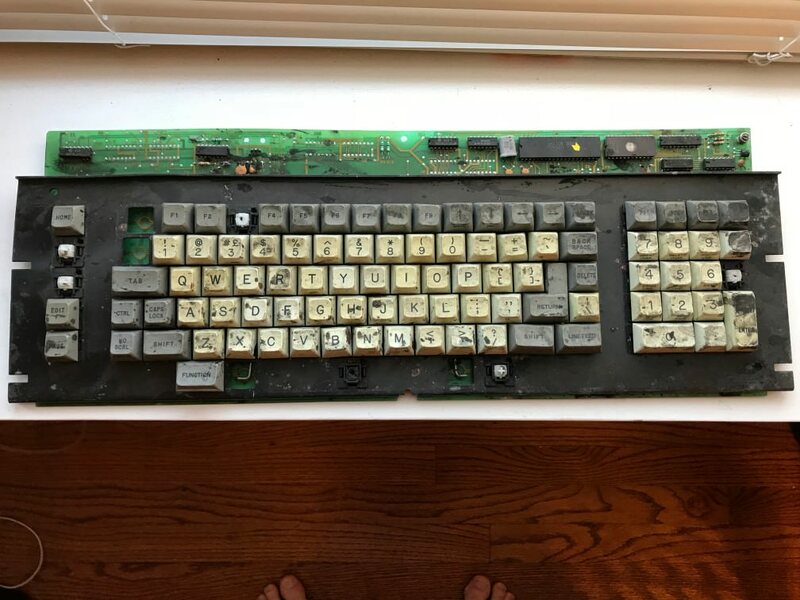 Does the Apple keyboard have Alps-compatible keycaps?